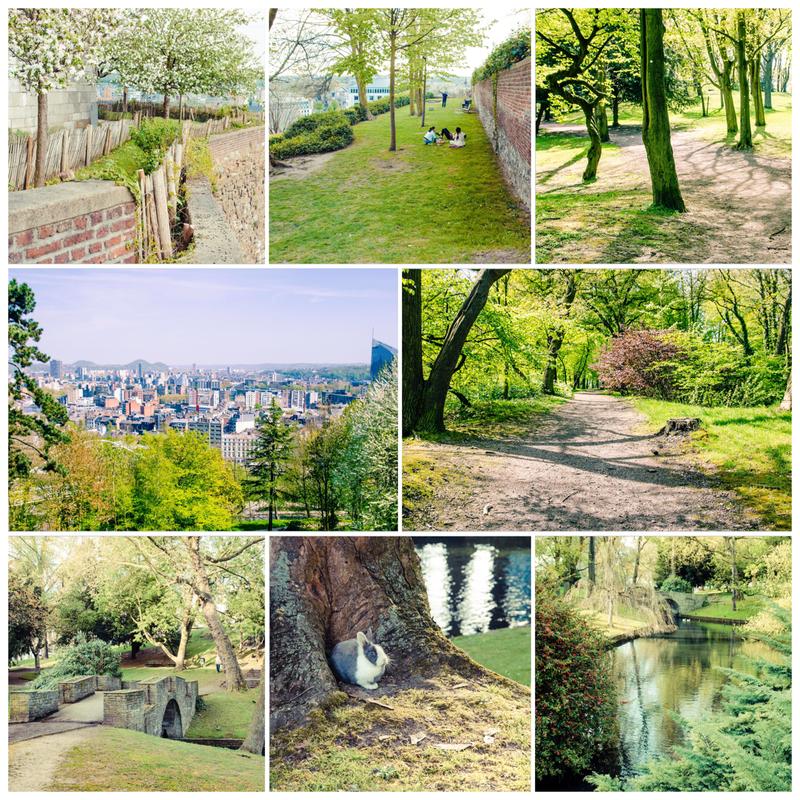 Although many articles from Boulettes à la liégeoise are dedicated to Liège's treasures and hidden secrets, we realised that an English tour of our beloved city was still missing. Not anymore! 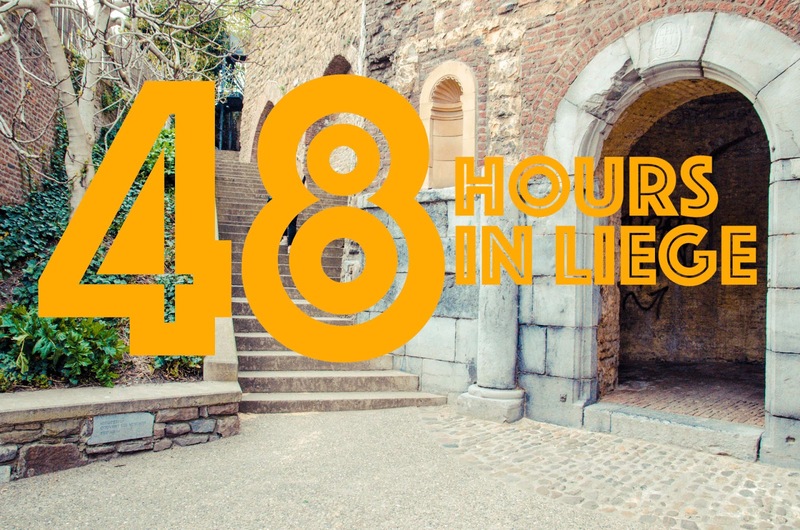 Erasmus students, day trippers, festival goers, businessman on standby, international speakers, lost Chinese and tourists from the rest of World: welcome to Liège. This guide is for you. We often look with envy at our neighbors, thinking the grass might be greener there, missing the beauty of the land we are living in. 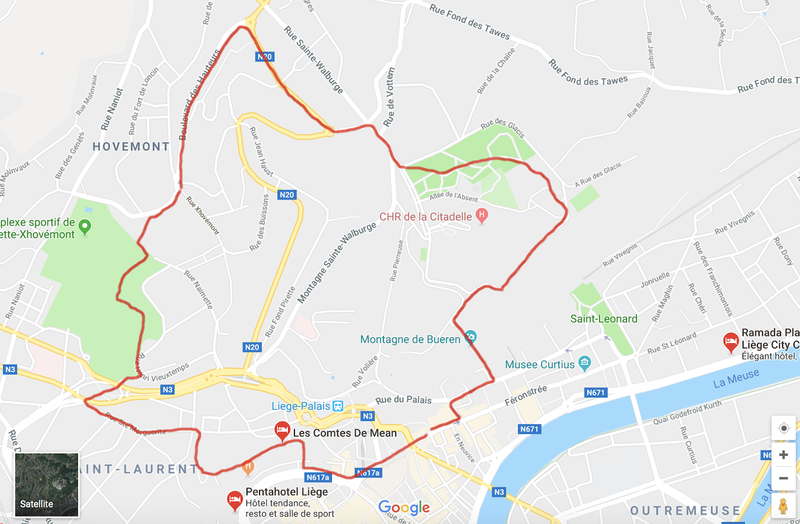 Yes, Liège is a small city. And yes, it is hardly comparable to some international capital cities, but do you know that we used to have a cathedral bigger than Notre-Dame de Paris? Or that Liège once hosted the World Fair? Yeah, we didn't know it either not that long ago. Of course, you could say these are just memories of a brighter past long gone, but it would only be a half-truth. Liège is so much more than the grey and declining industrial city it has been in the collective imagination in recent years. From coal to cool, the city is moving fast. It is a raw diamond. All you have to do is to cut it as you wish. Like us, you tend only to only believe what you see? We hope this guide is a convincing testimony. First things first, let's start with the beginning: Where to Sleep? Good News, there is something for everyone... and for every budget! Our favorites? - B&B N °5 (5 Place Saint-Barthélémy): Not only the refined atmosphere, but the numerous services provided to guests (such as the possibility to get a massage) make the place a true oasis of calm in the city center. Rooms available from 115 à 235 euros. The B&B N°5 offers the possibility to combine a stay with various activities on demand. - Located in the charming eponymous district, the Hôtel Hors-Château (62 rue Hors-Château) is a feast for the eyes... and the purse: rooms available from 78 euros; 125 euros for a suite. An added bonus? If you come from far away, the hotel offers a shuttle service to Brussels Airport. Whether you stay here or not, do not miss the Bistro n'Home restaurant located below, it is marvelous ! - 15 minutes away from the city center, Les Vergers de la Citadelle B&B (102 rue du Limbourg) offers a 2 to 4 persons studio with a kitchen and a breath-taking view of the city from a high perspective. From 80 euros for a 2 person room, you will enjoy the comfort of a warm house abroad. Marco, the owner, is an enthusiastic host who speaks FR-EN-NL-SP and can arrange for breakfast. According to the rumor, he has some rare and famous Westvleteren beers in his basement... maybe you should ask him about it? Anyways, if you travel on a budget, just check on Air BnB - With rooms available from 20 euros a night, hard to compete on the price! Right, so now you know where to stay. Follow the guide, the tour is just getting started! If you do not belong to the happy fews, chances are high that you just left the office a couple of hours ago. Thankfully, Liège has everything you need to enjoy the Dolce Vita. Isn't the combination of a fresh drink and a warm meal just what we all need to get rid off the stress of the week? It is also the perfect way to immerse yourself in the atmosphere of the city. - Café Lequet - Chez Stockis (Quai sur Meuse 17): Although the service at Lequet may be somewhat rude, the yellow-brown atmosphere created by succeeding generations of smokers over the years is both typical and comforting. Especially since smoking inside is now (thankfully) forbidden. No doubt you will feel at home here. Do not pay attention to customers who go directly in the kitchen to help themselves, it is normal if you are a regular. Café Lequet is also the perfect place to hear some local accent and try the city's most popular dish: meatballs with brown sauce made of regional syrup and beer. - Le Soleil du Vietnam (Rue Puits-en-Sock 59): Without a doubt our favorite Asian restaurant in town. Except for its neon bowl of Pho on the vitrine, the Soleil du Vietnam does not look like much from the outside. However, the service is warm, the food is delicious and the price is fair... Three reasons that make the place a must. The Pho is especially good, so go for it. If you're starving, the formula of "all-you-can-eat-à-la-carte" is an excellent choice. Nothing to compare with the usual and unappealing asian buffet since any dish you fancy will be served right at the table. - La Charbonnade (Rue Roture 5): In this meatlover's temple, the real Chef is you since you cook your own meat on your own table brazier. A perfect ice-breaker that will definitely warm you up! The meat is good, and so are the side dishes included in the price - do not miss the gratin dauphinois! Dishes are affordable, but run away from La Charbonnade during heatwave periods... and ask yourself some questions if you don't. - The Huggy's Bar (Passage Lemonier 22): They claim to have the best burgers in town. They definitely served the best beers in the world. Two reasons explaining the fast growing success of this chain of restaurants that started in Liège. Among the various options offered here, there is always a beer-ger pairing recommended. We call it the Belgian Dream. Don't make a rookie mistake and make sure to book a table at the Passage Lemonier restaurant: it is the most beautiful one. If the weather allows it, there is nothing like a good Walk to feel the appeal of the city. Our itinerary to get the best part of the city without walking yourself to death? Start from the Palais des Princes-Êveques. Walk straight to the Market Place and take the time to admire the Perron... and the typical pubs surrounding it! Continue to Our Lady of the Immaculate Conception and its colorful facade on Hors Chateau Street. Then go to the Collégiale Saint-Berthelemy and compare both. (The latter wins). If you find it, take a look at cour Saint Antoine and then head back to the impressive stairs of Bueren. On your way, do not miss the narrow streets that come out on Hors-Château Street. Do not be shy, have a look, they definitely worth it. Try at least the "Impasse de l'Ange", it is definitely the best one. Once arrived in front of Bueren's 374 stairs, you might think twice about reaching the top - don't worry, we won't judge you if you don't. Just take a moment to think about the dudes who live there... they better enjoy the taste of tap water! At the end of the street leading to the stairs, turn left towards the Brasserie C for a nice example of Mosan architecture and a delicious beer from the brewery there. From there, ascend the "few" stairs leading to the "Terrasses des Minimes", a secret park with an outstanding view on the city. Not enough? If you feel like keeping on, just check out this city map with the best walks around, but be prepared to climb. C2, on the brown path, is definitely the best spot! - 12-30 (11, rue des Carmes): In this unusual restaurant, you will be asked to choose your own salad bowl from A to Z, depending on whether you are more of a rucola guy or a quinoa addict. The place looks nice and light. A true breath of fresh air. The most difficult part will certainly be figuring out what you want in your bowl! - Caffé Internazionale (17, rue de la Casquette): In this trendy restaurant, hipsters and cool dudes from the city center come to eat NYC style pastrami sandwiches as big as the owners' heart. As good as the sandwiches are, do not forget to save some appetite for dessert: the Malteser flavored frozen-milk is to die for. - Accatone Cafè (Boulevard Saucy 13): Open during the day only, this small and friendly bar & restaurant is run by two friends who brought the idea and their recipes from their stay in Roma. And the least we can say is that it is (almost) as good as in the Città Eterna. Arty and casual, the restaurant organizes an Italian aperitivo every Thursday evening. - Get Your Mug (17, rue des Carmes): Whether for a late lunch or an early snack (sweet or salty) there is always a fresh bagel or a delicious muffin waiting for you at Get Your Mug. One coffee on the go, and here you go, ready to continue your trip across the city. If Liège is better known for its pubs open all-night long than for its fancy shops, there are still plenty of nice addresses to discover and, honestly, the probability that you end the day empty handed is very low. Come on, there is nothing like shopping to help you digest your lunch. - MILK (5, rue Saint Adalbert): Looking for some nice sneakers, cool T-shirts and street wear accessories? Milk is the place to be and sacred land for any youngster in the city. - Duck (18, rue Saint Adalbert): From causal to stylish, Duck is more than a large concept store. it is an institution where people from Liège come either to get a fancy piece or buy a whole new wardrobe. The shop even has some streatwear/boho brands with friendlier prices. - Le Coloris (32, rue du Pot d'Or): Located in the heart of Le Carré, Le Coloris jewel store is a precious address where you can find an affordable selection of eclectic and oniric jewels. In Liège, receiving a small box from Le Coloris with the distinguishable red ribbon is the equivalent of receiving a turquoise box from Tiffany in New-York. Squeals of happiness guaranteed! - Sapiens Sapiens (114, rue du pont): In this modern hardware shop, you will find a unique selection of daily high quality goods and products that made their proof again and again over the years. From kitchen knives to canteens and soaps, there is everything you need there. - Watch Smell Taste and Having Fun (114, rue du pont): Single Malt whiskies, rare rhums, mezcals and many more... whatever the bottle you find here, if it stands on the shelves, it has a story to tell. Forget everything you know about booze. You won't find it any of the regular bottles here. add to that friendly service and music, and the nice-looking shop itself is worth the visit. - Wattitude (7, rue Souverain Pont): Designer furniture, food or clothing: everything you can find at Wattitude comes out of Wallonia. The perfect place to find a gift or an original souvenir from Liège to bring back home! - Arqontanporin (26, en Neuvice): Located in Neuvice, one of Liège's cutest pedestrian streets, this art gallery is also a workshop where you can learn how to make one of Katia and Bruno's emblematic colorful paintings. The perfect place for those of you who always wanted to possess your own piece of art (but who usually cannot afford it). No doubt, being a shopaholic gives anyone the munchies. Fancying a little snack? Alright, alright. After all, isn't Liège the homeland of the World famous Liège Waffles? (not to be confused with the cartoon flavored Brussels waffle). - Eggenolls (92 rue des Guillemins): Close to the impressive Guillemins train station, Eggenolls is an essential pit stop for many people in the city, in particular since they not only sell the best waffles in town, but also many sweet treats to die for. Do not miss the moka! - Une gaufrette saperlipopette (7 rue des Mineurs): This bakery might not be the oldest, but based on the never ending queue in front of the tiny window shop, it might just be one of the best. Here, everything is a delight and waffles are no exception. Even queuing is (almost) a pleasure. 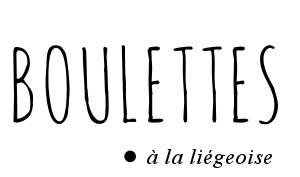 - Chez André (32 rue Saint Paul / 141 rue Saint Gilles / 106 rue Puits en Sock / 37 rue Gérardrie): Do not pay attention to the fact that the place is actually a butchery, their waffles are among the best ones in Liège. And if you fancy a salty snack instead, their ham sandwich is one of Liège's best value for money deal. Just try it! - Chez Pollux (2, place de la Cathédrale): Strategically located Cathédrale Square, it is hard to miss it, and even harder to resist the tempting smell released by Pollux... Ask for a hot one. Once you got care of your glucose level, there is nothing like lying in one of the numerous parcs of the city. Our favorite places for a green break? - The Citadel hillsides (many accesses, such as 38 rue Pierreuse): Do you have to climb to get there? Yes, definitely. Is it 100% worth it? Yes, definitely. Enjoy the sun, the silence and one of the best views of the city from this well preserved secret garden. Beware, entrances are just narrow staircases, so do not miss them. So many adventures. Start to feel tired? It's normal, you deserve a break. Go back to your hotel and rest. It will be the evening soon, and since it is Saturday, the night is young. Have a nap, a shower and dress up, we're going out! ... or are you a warrior who would still like to do some exercice? Well, ok then. Lace up your trainers and follow us! From the Market square, pass by the Town hall and turn left to rue des Minimes (1), then right to rue Hors-Château. 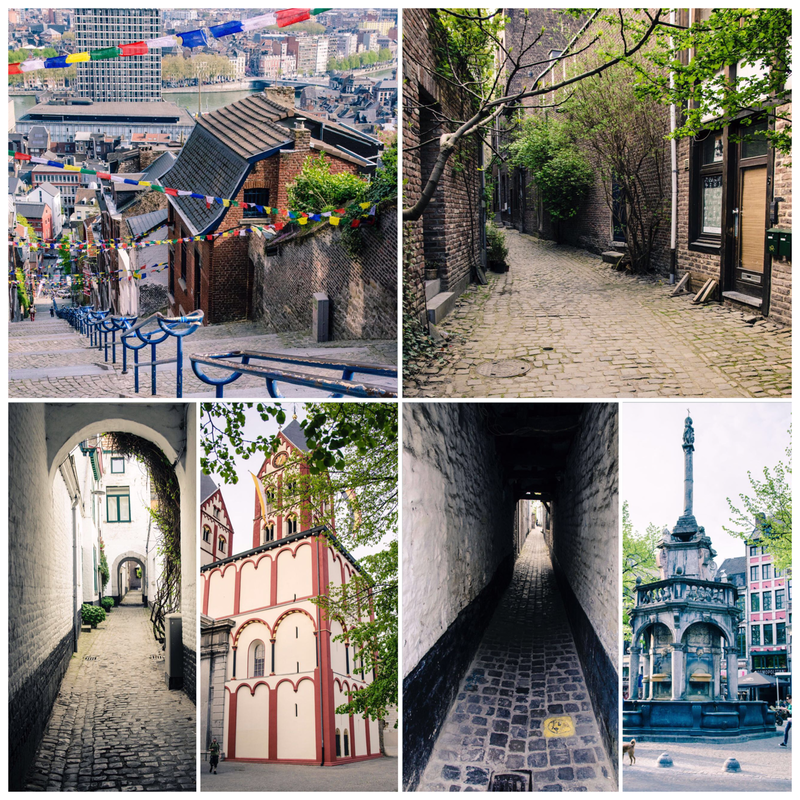 Enjoy the architecture there and get prepared to... climb the 374 stairs of Bueren on your left (2; hate me as much as you want, you will thank me later). Once at the top of it, continue to go up and walk another staircase (not kidding, do it). This one is a short one, I promise. You're done? Congratulations, the most difficult part is behind you (3). You are (almost) done climbing. Turn right and follow the park road along the former citadel walls. Enjoy a beautiful view on the city from there (4). Pass by the hospital back exit, and then cross the Citadel park (5). At the edge of it (6), turn right and follow rue Sainte-Walburge (not the most interesting part, sorry). Take the next one on the left (7; rue de Campine), then right (8; Avenue Victor Hugo). Pass by the roundabout and continue until the next one. Turn left on Boulevard des hauteurs (9). Run until you pass by a school (10, Ecole Xhovémont) and then turn left to the forest (11). Follow the path in the wood around a football pitch until a stone path. Follow it down until a second football pitch. Exit the football area (12) and run down the road for twenty meters. Take the stairs on your right (13). Cross the bridge (14) and continue to Rue Sainte-Marguerite (15). Run ahead until the Degré des Tisserands (16; another staircase) and climb to the top to reach the basilique Saint-Martin (17). - Brutàl (17 rue Bonne Fortune): At Brutàl, various pica pica (tapas) are served with delicious cocktails in what is probably one of the fanciest places in Liège. Hip and richly decorated, Brutal is a modern tribute to Liège's glorious past. It is also the ultimate spot for beautiful people and influencers looking for their next Instagram snap. Prices may be high compared to other places, but then again, being in the coolest spot in town is priceless. - La Cucinella Ristorante (26 rue de la Casquette): There is a good reason why football players often come to this place to celebrate and have some good time. It looks as good as it tastes: superb. La Cucinella is probably the finest Italian restaurant in town, and it is no small feat since the city count many very good options. - Maison Leblanc (5 rue Lulay des Fèbvres): THE place to be for meat lovers for whom any regular cut of meat just won't do. The Maison Leblanc, which used to be solely a butchery, offers a wide range of dry-aged beef as well as some classics. Scotland, Galice or Argentina: whatever its place of origin, the meat is always of the highest quality. The foie gras is also a pure delight. - La Bien Thai (57-59 rue Surlet): In this authentic thaï restaurant, pictures of the Thaï Royal Family are a reminder that when the former king of Thaïland, Bhumibol Adulyadej came to Belgium, the ambassador asked the La Bien Thai chef to prepare the banquet. Or at least, it is what the owner like to claim to curious customers. In any case, the food is delicious, and that is what matters in the end. - Bistrot Mentin (11, rue Sainte Aldegonde): In this tiny bar where the decor has been imported directly from Italy by the owners, the atmosphere is always charming and it does not take long before you feel like you're right at home, drinking with friends. Good wine and cocktails at fair prices. If you go there, do not miss the opportunity to go to the toilet to listen to some audiobooks of George Simenon, Liège's emblematic crime novelist. - Le Pot au Lait (9, rue Soeurs-de-Hasque): The best way to describe the decoration of the Pot au lait is "could have been done by Tim Burton on acid". Everywhere, there are some crazy details to enjoy while having a beer with friends. The result is a nice and psychedelic atmosphere that makes the place a classic. There is a nice terrace open all night long, but it often gets crowded during summer evenings. - Café Brasil (74, rue Roture): A little further than the other ones included in the list, the Café Brasil is a cosy place with a huge list of cocktails and rhums from Brazil and beyond. Close to the La Bien Thaï restaurant, it is the perfect place to continue the evening if you go there. - Volga bar d'atmosphere (3 Quai de la Goffe): In this Brooklyn-style cocktail bar, bartending takes on its full meaning. From the classics to the in-house creations, it is always a pleasure to have a drink in the city's best cocktail bar. The crew is also particularly friendly. - Grand Maison (37, Quai de la Goffe): Italian esspressos or cold brew coffee, if it is hip, they probably have it. For many people, it is the place to be to enjoy good music and a ray of sunshine in the morning (it boasts the sunniest patio in the city). Food in general and homemade pastries in particular are a delight. On Sunday morning, the place is often full due to its proximity with the local market. - Le Cappucino (40, rue des Croisiers): The place is so tiny that it is easy to miss. Yet, the breakfast is worth it and the coffee is delicious. Fresh orange juice, boiled eggs... the best? Whatever the formula, the addition is never more than 10€. - C si bon! (238, Boulevard d'Avroy): Although the Sunday brunch is not always scheduled (check before going! ), the owner knows how to put on a great spread: quiches, salads, fruits and viennoiseries... everything you need and much more! - Québec Café (34, Cour Saint-Gilles): the Québec Café is located outside of the city center, but it is definitely worth going out of your way to taste it. Here, Quebec steals the spotlight, which means pancakes and maple syrup reign as kings. A nice address to take a brake from the city center. Once your (copious) breakfast has been gulped down, head to the edge of the Meuse and its Sunday market: La Batte! Whatever the weather, this ancestral market takes place every Sunday of the year, with no exceptions. 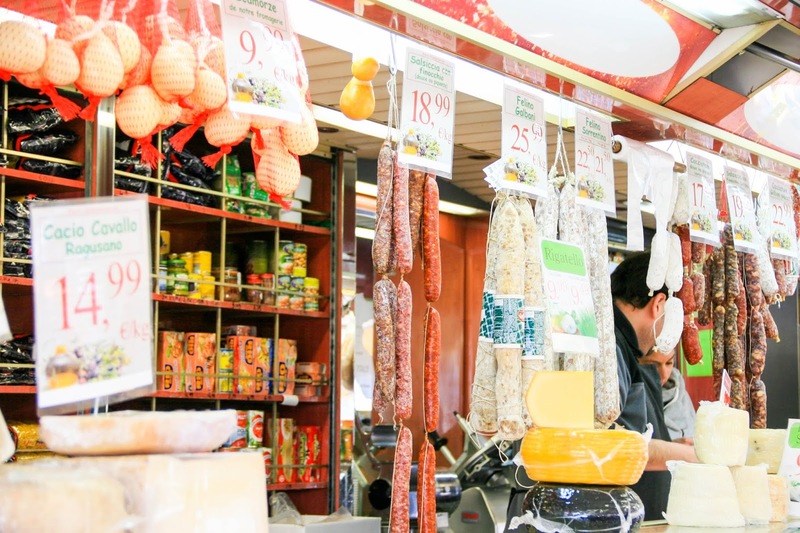 It is also one of the biggest in Europe and people from many different places come here to buy vegetables, cheese and cold cuts from the various trucks along the river. Although you often need to elbow your way through it, it is the perfect place to enjoy local culture in its purest form. Along the market, you will find almost everything at low prices: plants and delights from Asia, Turkey and Italy. The right way to do it? Buy fruits, pet some rabbits and buy a roasted chicken. Then find a quiet place and eat it on the spot with your bare hands. So good! There are many ways to access the market. Just check for quai Roosevelt, quai Saint-Léonard, quai de la Goffe ou rue de la Cité. The best spots are located between rue de la Halle and rue Barbe d'or. At the end of La Batte, where trucks are more widespread, head to the Curtius Museum (13, quai de Maestricht). Its red and magnificent facade is worth it, as well as the work of art it hosts within. Each first Sunday of the month, entrance is free in every museum of the city - so there is no reason at all not to pay them a visit! Between the city's various museums that will please culture aficionados and the Aquarium Muséum (22, quai Edouard Van Beneden), the most difficult part is to make a choice. You like it? Let's keep on discovering new cultural places! - The Cité Miroir (22, Xavier Neujean square): In this former swimming pool, spectacles, conferences, exhibitions and performances are often organized. The place in itself is worth the visit and symbolises the renewed success of the city. - The Reflektor (24, Xavier Neujean square): This concert venue is located in the heart of Liège and every concert has been soldout ever since its 2015 opening. Eclectic programme all year long. 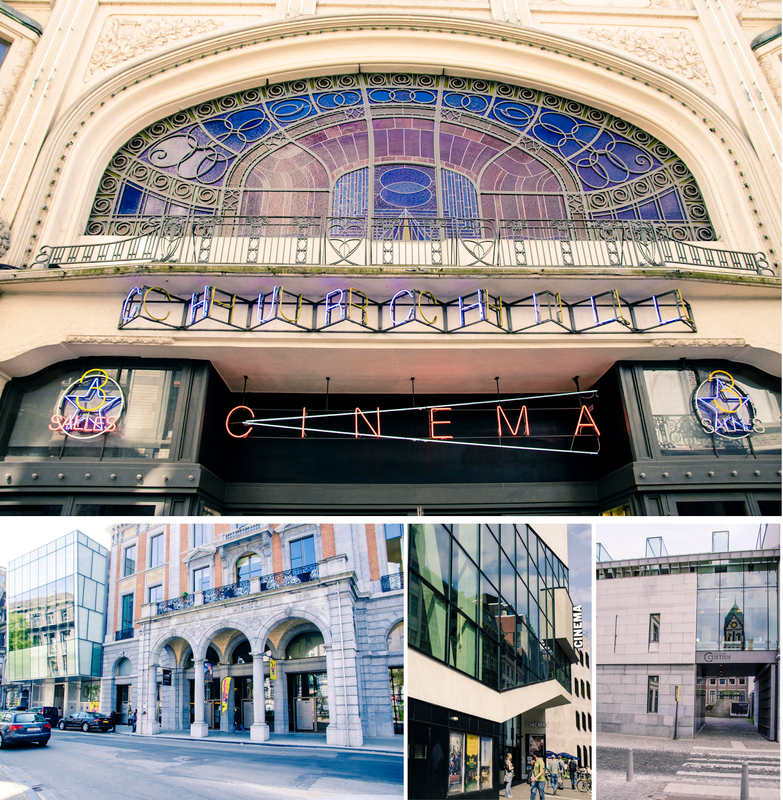 - The Theatre de Liège (16, Vingt Août square): An excellent programmation in a modern and architecturally pleasing building! - The Royal Opera of Wallonia (Opera square): One of the city's emblematic buildings, it is also one of the most important operas of the country and many people come from abroad to watch spectacles there. - The Brasserie C (14, Impasse des Ursulines): The terrace and the medieval gardens of the Brasserie C are a perfect location to taste on site a 100% local beer: the Curtius... its reputation is firmly established in the city end beyond, and on a sunny day, you can almost touch the magic in the air here. - The Maison du Péket (4, rue de l'Epée): One of the main attractions for tourists who come to Liège! But sometimes, it feels good too to follow the well-traveled path... The drink menu here is as long as your arm and as the name of the establishment indicates, it is the perfect place to taste a peket, the local genever gin. Flambés, fruity or flowery... there is one for everyone! Bonus: you can buy bottles at the bar to bring back home with you. 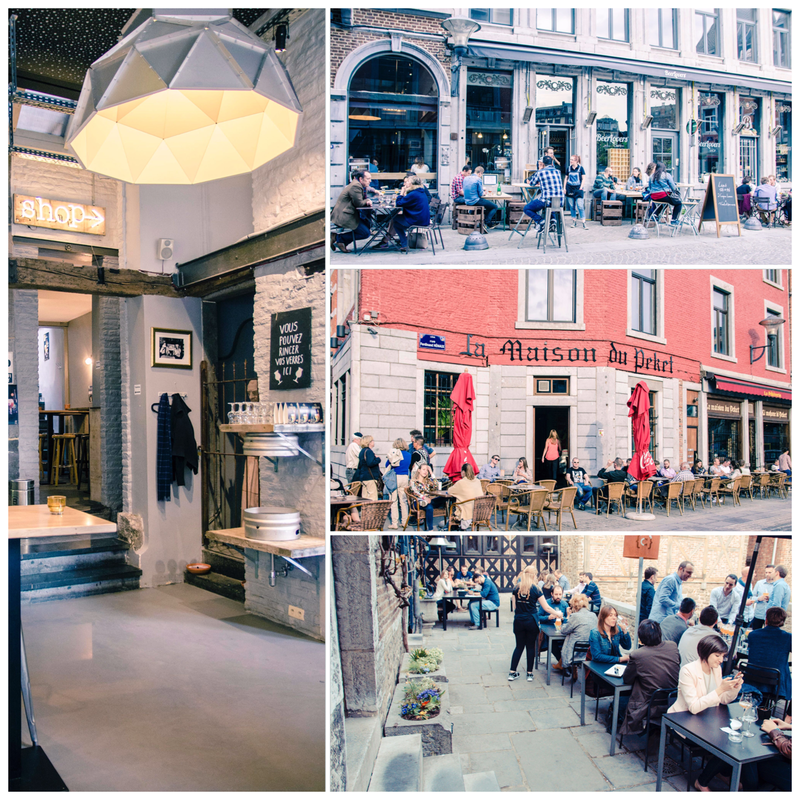 If you go through the bar, you will land off in the Amon Nanesse restaurant, where you can eat most of the city's signature dishes in a rustic atmosphere (including the boulets liégeois, Liège famous meatballs!). Cheers, and see you soon in Liège! NB: The present article is just a partial selection of the team's favourites, but the list is far from being exhaustive. As for anywhere else, we strongly encourage you to experience the city by yourself, try awkward places and dirty restaurants since there is nothing like the feeling of discovering something by yourself and call it your little secret place. Remember that Liège is a raw gemstone. You sometimes need to sweep some dirt along to get the best of it.